Is the DASH Diet the Best Diet Plan? The DASH diet, or “Dietary Approaches to Stop Hypertension,” was designed to assist in lowering blood pressure without the help of medication. It was not originally designed for weight loss purposes, as it originally contained a high amount of starch and refined grain. However, the DASH diet was redesigned with healthy weight loss as well as lowered blood pressure in mind. The main principle behind the DASH diet is that lowering the intake of so-called “empty carbs” and replacing them with protein and other healthy nutritional options, blood pressure can be improved. This goes hand-in-hand with sustainable weight loss. There is an emphasis on filling foods at the core of most meals alongside foods that are rich in protein and that contain heart healthy fats. By changing the ratio of carbohydrates, proteins, and fats in your diet, you can eliminate the blood sugar highs and lows that are usually accompanied by cravings. This can also help you reduce your risks of diseases and illnesses like diabetes, help control your cholesterol, and reduce triglyceride levels. Additionally, because the diet is high in protein, you are more likely to maintain muscle mass while you lose weight, making long-term weight loss more sustainable. What is the Science Behind the DASH Diet? The DASH diet was developed closely with health organizations to create a diet to lower the risk of hypertension. While it does take into account the traditional methods of lowers salt and overall sodium intake, the diet is an entire eating plan based around fruits, vegetables, lower fat dairy products, and whole grains rather than merely reducing sodium. Over the years, the DASH diet has maintained its status as a healthy plan of eating. 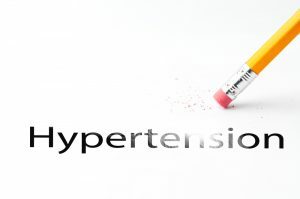 It is continually being evaluated and compared to new research in order to determine the best recommendations for lowering blood pressure. Since its original development, research has consistently backed the success of the DASH diet. Long-term devotion to the DASH diet has been proven to not only to promote healthy blood pressure levels, but also help control cholesterol levels. It has also been linked to a lessened overall risk of heart failure, stroke, osteoporosis, kidney stones, and certain types of cancer. 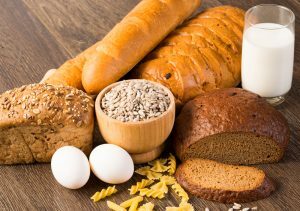 Newer research has suggested that the diet can also decrease your risk of type 2 diabetes. What is in the DASH Diet Plan? Like most diet plans that aim to lower blood pressure, the DASH diet follows typical guidelines regarding your daily intake of sodium, but it also attempts to lay out strategies for getting your daily recommended vitamins and minerals. It encourages a variety of fruits and vegetables, as well as low or nonfat dairy products. Rather than eating empty carbohydrates, the DASH diet aims to replace those with whole grains, as well as replacing excess carbohydrates with lean meats, beans, nuts, and seeds. While the diet plan is straightforward and has clear boundaries set, it also takes into account that dieting needs to be personal and it can vary on a person to person basis. The diet is intended to be flexible in order to meet preferences in food and lifestyle for just about any person. There are also different versions of the DASH diet, developed for weight loss or vegetarianism. The primary way that the DASH diet lowers blood pressure so effectively is through the key nutrients that the diet encourages. By eating the recommended servings above, you are more likely to get your daily recommended intake of nutrients like calcium, potassium, and magnesium, which as all linked with lower blood pressure levels. By lowering sodium intake, there are also added benefits, such as weight loss. Though the DASH diet was originally created to help those suffering from high blood pressure, the eating plan recommended by the DASH diet can be a great tool for following a healthy diet for just about anyone. There are additional benefits to following this diet, such as lowering cholesterol, better heart health, and reducing inflammation. The DASH diet can also be applied to families; it has been shown through research to be successful at dropping blood pressure in children as well as their adult counterparts. The DASH diet has been consistently ranked highly in lists for successful and healthy diets. While it was originally designed to help in maintaining healthy blood pressure levels, it has also become a great option for those seeking to lose weight, manage or prevent diabetes, or lower cholesterol levels. There are also links to other health benefits. This diet is backed by years of research and research that is ongoing, so the findings are incredibly well-reputed. 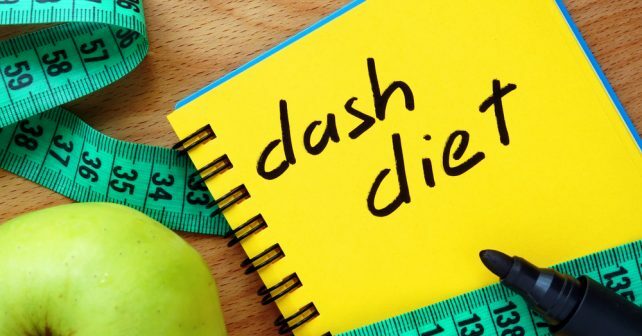 Additionally, because it maintains flexibility in eating plans, there are many different ways to tailor the DASH diet to your lifestyle and preferences, depending on your goals and eating habits. Overall, the DASH diet is one of the best diets out there today, but remember to always consult a doctor before making any big changes.